Check out my ideabook on Houzz in which I profess my love for the patterned china setting. I feel it is my duty on this earth to convince all engaged couples to register for patterned china - life is too short for white plates. Love this feature. My wedding is in October and I registered for ornate china by i'Objet. And I did some accent pieces-- your second choice in the post, Kyoto! Love your china picks. Thank goodness I married into a family who knew (and had) great china patterns, so we were able to pick one of their "cast offs." 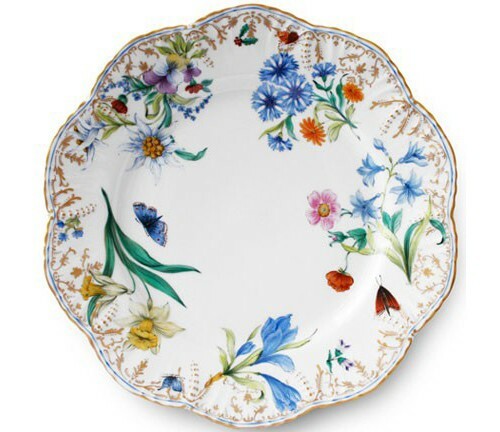 I hope one day we inherit the Royal Crown Derby Imari - yum! P.S. - I emailed you about a potential web project, did you receive it?